Features: 7" touch-screen, Apple CarPlay & Android Auto, heated front seats, rearview camera and more. 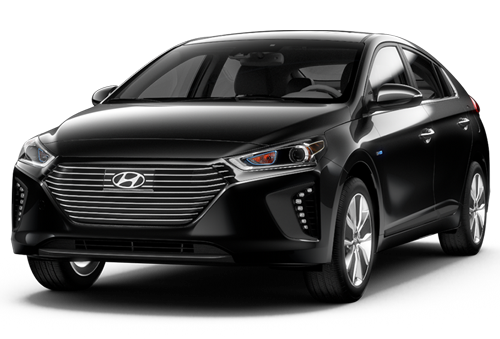 Includes Hybrid Limited features plus: 8" touch-screen, navigation, Infinity audio, HIS headlights and more. 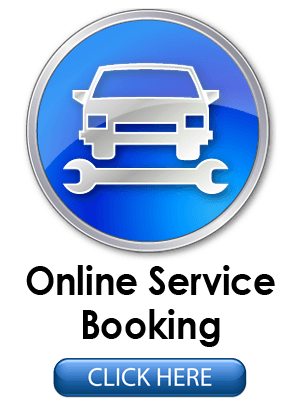 Includes Electric SE Cold Climate Package features plus: Sunroof, leather seats, Lane Departure Warning, Autonomous Emergency Braking and more. 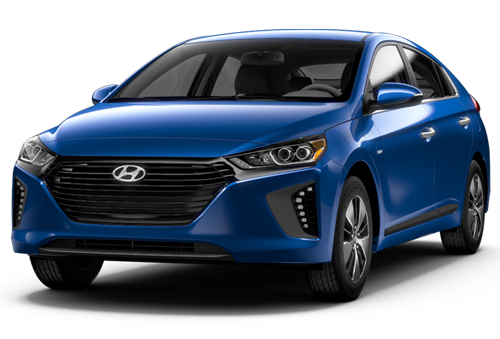 Includes Hybrid Blue features plus: Blind Spot Detection, heated steering wheel, heated rear seats, push-button ignition and more. Features: Blind Spot Detection, Apple CarPlay & Android Auto, 8" touch screen, Navigation, quick-charge port and more. Features: Infinity premium audio, Blind Spot Detection, heated seats & steering wheel, LED lights and more. 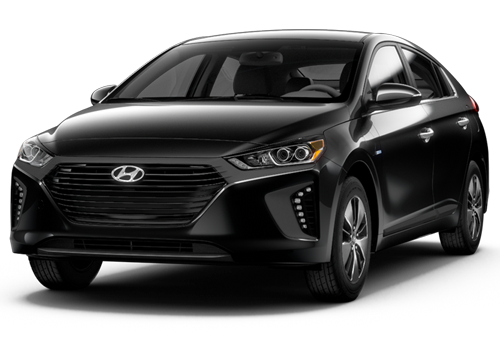 Includes Hybrid SE features plus: Autonomous Emergency Braking, Adaptive Cruise Control, leather seats, Wireless Charging and more. 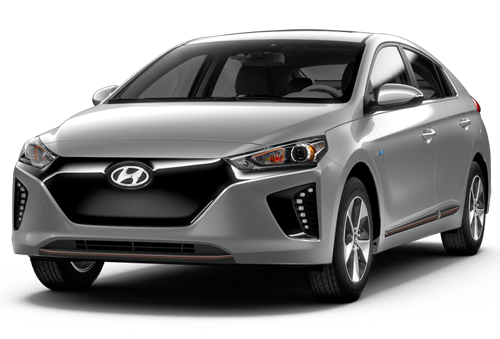 Includes Electric SE features plus: Heated rear seats, heat pump, battery temperature management system and more. Includes Electric Plus SE features plus: Adaptive Cruise Control, Autonomous Emergency Braking, Lane Keep Assist, leather seats and more. Charge from home or work. Never stop for gas. 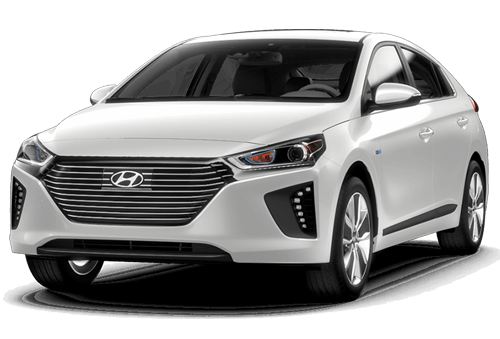 On a single charge, the IONIQ electric model offers up to a 200-kilometre range of emission-free driving. 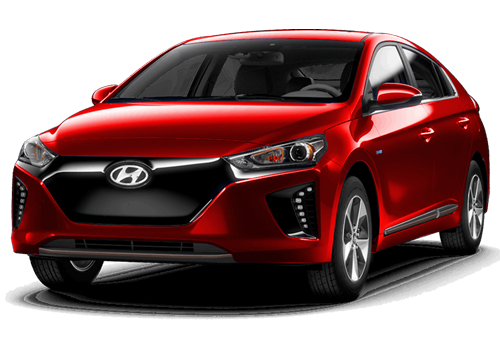 The 88 kW electric motor’s torque-rich performance is powered by the super-efficient 28 kWh lithium-ion polymer battery. The battery is located low in the IONIQ's purpose-built chassis, which also lowers its centre of gravity, essential for a rewarding and engaging drive. Electric when you want it. Gas when you need it. 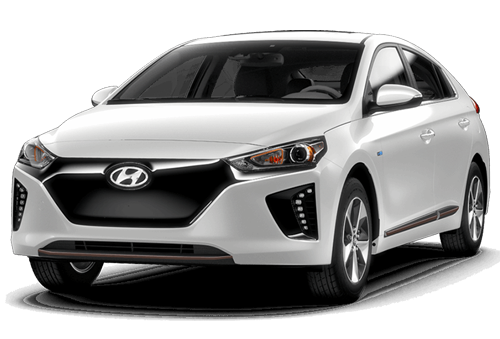 The IONIQ electric plus offers the best of both worlds, with a larger lithium-ion polymer battery (compared to hybrid model) to provide over 40 kilometres (estimated only) of all-electric, emission-free driving. With an industry-leading drag coefficient of just 0.24, the IONIQ is one of the most aerodynamic vehicles on the market. Streamlined contours have been designed to harness airflow and minimize air resistance. The signature hexagonal grille features computer-controlled air shutters that open and close automatically to optimize aerodynamics (hybrid model), while air intakes beside the signature LED daytime running lights help reduce turbulence around the front wheels. All of these elements and more combine to create a stunningly attractive design that delivers best-in-class fuel efficiency. The spacious interior of the IONIQ is charged with distinct design cues. This becomes evident in the strong horizontal contouring of the dashboard and unique white, or blue (hybrid model), or copper-coloured (electric model) accents throughout the cabin. Thanks to the innovative design of the lithium-ion polymer battery and purpose-built chassis, you don’t have to choose between efficiency and space. Enjoy maximum versatility with expansive cargo space and 60/40 split fold seats. And you won’t have to compromise on features we know matter most in Canada — this is why heated front seats are standard, and a heated steering wheel and rear heated seats are available for those who like extra warmth. The standard 7.0" touch-screen display is the connectivity hub of the IONIQ. Apple CarPlay™ and Android Auto™ put the power of your favourite smartphone apps right on the touch screen display. You can access directions, make calls and send and receive text messages while keeping your hands on the wheel and your eyes focused on the road. You can also listen to your favourite playlist through the available Infinity® sound system. The available wireless charging feature even lets you recharge your compatible smartphone without connecting cables.